Pictured above: Jim VanDusen, Dealer Operator and General Manager, and Devan Rajkumar, Digital Marketing Manager, along with some lovely ladies Playing Mas (Masquerade) at Ajax Council Chambers. 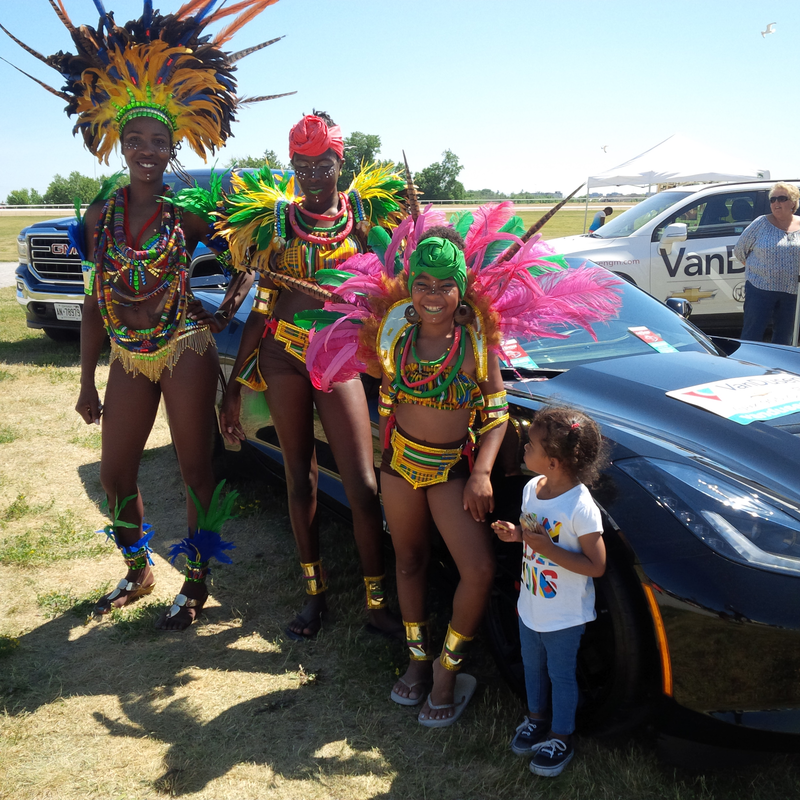 VanDusen Chevrolet Buick GMC is honored to have once again been a sponsor and supporter of the Durham Caribbean Festival. We have been a part of the Durham Caribbean Festival for the past three years now and look forward to continuing our relationship in the years to come. The Durham Caribbean Festival and The Caribbean Event Organization of Ontario arranges and presents Ajax Caribbean Week every year in June. On Monday June 20, 2016, Ajax’s 3rd Annual Caribbean Week was proclaimed in Ajax Council Chambers by Mayor Steve Parish. The evening’s proclamation was hosted by Mary Galvan, Executive Director of Caribbean Event Organization of Ontario, Paula Fennell, Regional Manager of JNMS, and Jerrold Johnson, Chief Representative Officer of JNBS. After the proclamation at Council Chambers, a VIP Reception was held at Rum Diaries right across the street from our dealership. Pictured above: Mary Galvan, Durham Caribbean Festival Organizer, and Jim VanDusen. Ajax Caribbean Week showcased numerous Caribbean-inspired events hosted by local and corporate businesses and culminated with the Official Durham Caribbean Festival on Saturday June 25. 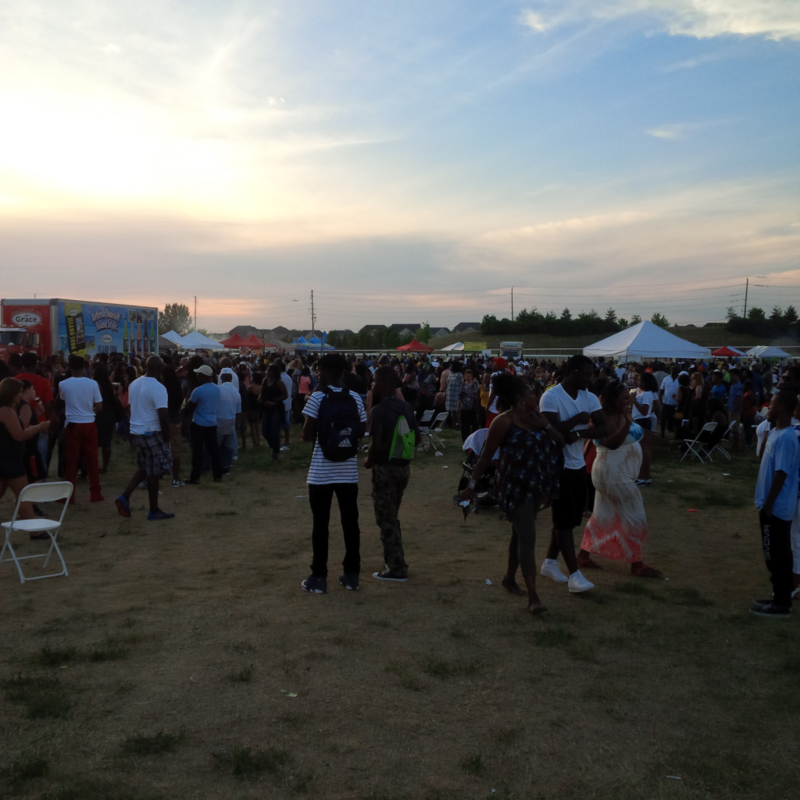 The largest Caribbean Festival in Durham was blessed with a new venue, Ajax Downs, who promote themselves as “Ontario’s premiere centre for entertainment!” The blessings were extended with excellent weather and a tremendous turnout. There was a variety of tasty Caribbean food, great music, assorted vendor stations, and many activities for children, from bouncy castles to pony rides! The weekend festivities continued on Sunday with very first Caribbean Derby on Sunday at Ajax Downs. The Team at VanDusen Chevrolet Buick GMC manned our booth for the weekend where festival-goers got the opportunity to check out our great cars, trucks and SUVs. We brought a Cruze, a Silverado, an Equinox, but by far, the hit of the weekend was the Corvette Stingray convertible. The whole weekend long, people dropped by to say hello, but mostly to take photos in and with our Corvette. According to the Canadian 2011 Census, Ajax had a population of almost 110,000. The proportion of visible minorities reported was nearly 40%. The largest visible minority groups are those claiming heritage from the Caribbean Islands. The Durham Caribbean Festival and the VanDusen staff are thank everyone who attended any or all of the events in this historic week celebrating and showcasing Caribbean Culture in Ajax and the entire Durham Region.